Great advancements have been made in the field of breast imaging in recent years to the point where we now have a new field of study that uses advanced breast imaging techniques. 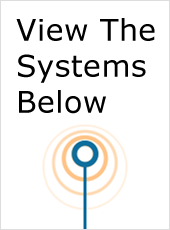 Although some of this technology is still fairly new, UsedUltrasound.com has a complete inventory of advanced breast imaging ultrasound machines at some of the lowest prices anywhere. It used to be that an MRI or mammogram X-ray were the only ways to accurately detect breast cancer, but now advanced breast imaging ultrasound is being used with tremendous results. There are many situations when an MRI or mammogram simply won’t work for a patient, particularly in the case of pregnancy, so that makes ultrasound imaging a very attractive, effective and safe alternative. Advanced breast imaging is also used as a supplemental method to traditional MRI and mammography. One of the best machines on the market today for advanced breast ultrasound scans is the ATL HDI 5000. 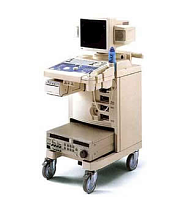 If you are in the market for a used ultrasound machine, then you want to have access to the biggest inventory of pre-owned ultrasound machines, and that’s what you’ll find at UsedUltrasound.com. In addition to a huge selection of models from GE, Toshiba, Sonosite, Acuson and many more, we also offer some of the lowest prices available anywhere. As ultrasound systems become even more versatile and adaptable to so many applications, the cost of ownership rises because you need to have so many different probes and transducers. But you can realize big savings by purchasing used ultrasound probes and transducers from UsedUltrasound.com. In addition to used ultrasound systems and parts, we also offer ultrasound service contracts to help keep your equipment running smoothly and efficiently for years to come.